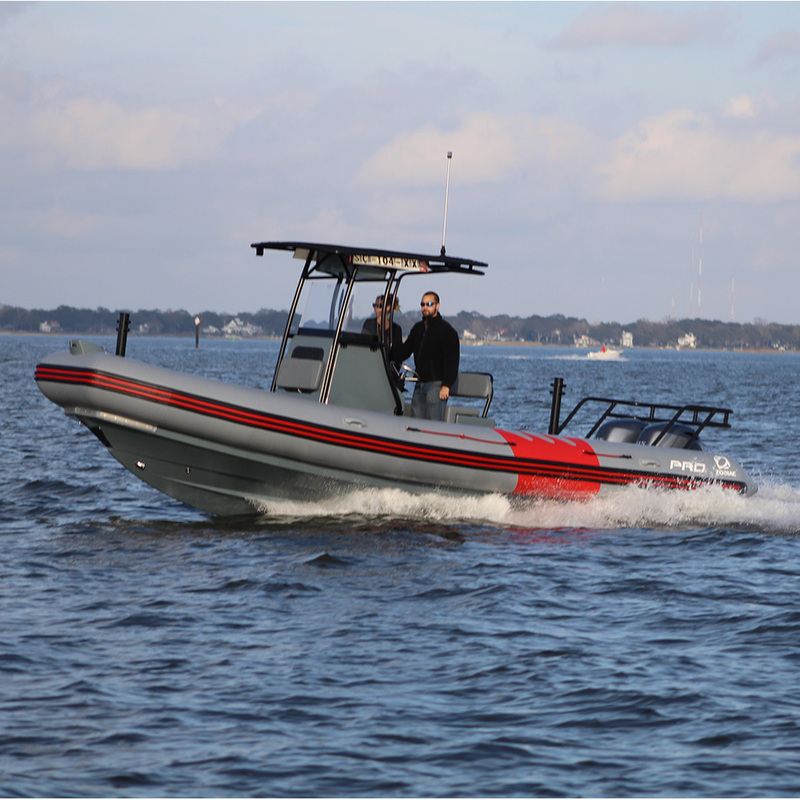 The Rec-Pro 750 was designed to offer unparalleled safety on board. Besides its non-slip deck, the boat’s plating is higher to allow the transporting of pointed objects (spearguns, fish hooks, etc.) without needing to protect the float. Entirely adjustable thanks to its flat surfaces, a whole ”à la carte” range of accessories can be added.